Karachi: In recognition of World Water Day, the Coca-Cola Company announced that it has returned 60 million litres of water to nature and communities in Pakistan. Coca Cola’s Replenish goal, a first for the beverage-producing private sector, seeks to replenish, or return through water access, productive use and conservation activities, 100 percent of the water Coca-Cola uses in its global sales volume by 2020. To achieve this, Coca-Cola System entities support community-based water projects around the world, with a specific focus on water stressed regions and those locations experiencing or recovering from humanitarian crises. “Pakistan remains one of the most water stressed states globally, which gives us another reason for reinstating our mandate as a responsible corporate citizen; as a Company we are on track to replenish 100% water back into the communities where our business operates. Although scarcity of potable water resources, high rate of unhygienic practices and local governance clauses pose as a strong challenge for us, but over the past decade we have developed a strong network of partners, NGOs and provincial authorities who have been supportive towards our water stewardship practices,” said Rizwan Khan General Manager, Coca-Cola Pakistan & Afghanistan Region. Each of the projects vary in design and scale, but all operate to either provide people with access to sustainable water and sanitation services, provide water for productive use such as irrigation, or protect environments and natural water sources from degradation and depletion. 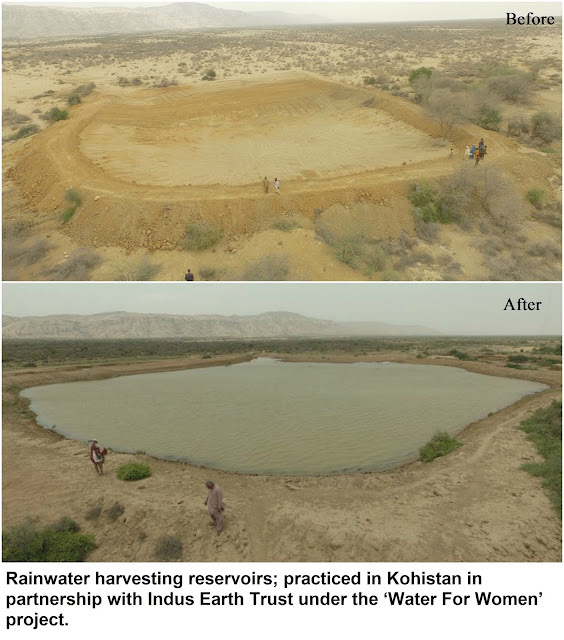 • Khanpur Dam Project: As the newest project in Pakistan, Coca Cola recently partnered with WWF to help create a sustained flow of freshwater in local springs and streams feeding into the Khanpur Dam reservoir. This project is expected to benefit over 50,000 people in the region. • Zindagi project: In partnership with UNDP and Rotary International, this project provides water filtration plants in high risk areas and provide clean drinking water to communities, benefiting over 75,000 people. • Paani Safe Water Initiative: In partnership with WWF, this project aims provides clean water to over 750,000 people across Pakistan through the use of community outreach and infrastructure building. • Environmental Conservation and Watershed Management: In partnership with WWF, this project provides safe drinking water to communities in addition to restoring the ecology of Ayubia National Park through watershed management practices and infrastructure building. It resulted in improved water access for 12,235 people. Globally, Coca-Cola and its Foundations are currently contributing to nearly 250 community water projects in almost 2,000 communities across more than 70 countries. Replenish is only one element of the Company’s overall water stewardship framework, which also includes Source Water Protection; efforts to reduce water consumption in bottling plants as measured by the Water-Use-Ratio (WUR); and Waste-Water treatment activities, which clean waste water to a standard that can support aquatic life before it leaves a bottling plant. All of these efforts aim to balance Coca-Cola’s impact on finite water sources, in recognition of growing population and climate change related pressures on the long-term availability of water around the world.